During my travels through baseball history, I have joined many other historians in a fascination with so-called "cup of coffee" players who played just a game or two or a few in the major leagues, or sometimes only one inning. 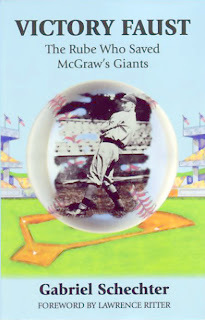 Archibald "Moonlight" Graham's one inning captivated Ray Kinsella enough to make him a major part of the novel "Shoeless Joe," and my first book was centered around the two-game "career" of Charles "Victory" Faust. How were these cup-of-coffee characters able to get to the majors in the first place? And what happened to make their stays so brief? Inevitably, that isolated major league experience seems to be but a blip on the screen of a much more interesting life. Whether it's a long career in the minor leagues or the abandonment of baseball in favor of a more rewarding pursuit, there is something compelling about an athlete whose major league experience fits so precisely into the context of his "real" life. Often that cup of coffee intersected with a giant of the game, as with one of my favorites, Paul Hopkins, a fellow Colgate graduate who pitched 11 games in the majors. In his first inning, at the tail end of the 1927 season, he faced Babe Ruth with the bases loaded, and Ruth drilled a grand slam that happened to be #59 of the season. He kept his cool, striking out the next batter, Lou Gehrig, went on to a 1-1 lifetime record in the majors, and three-quarters of a century later was the oldest living major league when he passed away at age 99, having found much success in business. 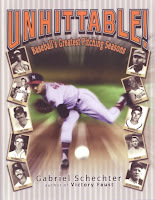 Recently I discovered one of the most amazing stories I've ever seen involving a one-inning major leaguer. His name was Frank Verdi, whose one inning with the 1953 Yankees was amply sandwiched by four decades in the minor leagues (plus another decade as a scout). He's in the Hall of Fame--of the International League, where he played eight seasons and managed 15, winning pennants with four teams and copping the Little World Series in 1970 with the Syracuse Chiefs. An infielder who saw the most time at third base with a good deal of action at second base, he totaled 1,832 hits in 18 seasons on an odyssey that took him to 14 different franchises, including multiple stints with six of them. Frank Michael Verdi was born in Brooklyn in 1926, graduated from Boys High School in Brooklyn and briefly attended New York University. He was 18 when he joined the Navy in the heart of World War II, and he served until 1946, when he launched a professional baseball career that lasted through 1985. Signed by the Yankees, he spent nine years in their farm system, buried like so many other talented players beneath an array of talent which enabled the Yankees to win the title nearly every one of those years. Verdi wasn't going anywhere except on a merry-go-round circuit of the minors, though in 1952 his .313 batting average was third in the Eastern League and he made the league's All-Star team. That may have persuaded the Yankees to give the 26-year-old a longer look in 1953, or at least some kind of a look. 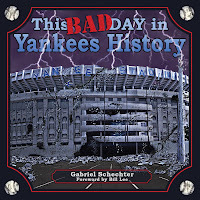 On May 10, in a game at Fenway Park, the Yankees were trailing the Red Sox in the sixth inning when Casey Stengel removed shortstop Phil Rizzuto for a pinch-hitter. Verdi went in to play short in the home half of the sixth, though the ball did not find him. In the top of the seventh, the Yankees rallied for three runs with two outs to take a 5-3 lead, and loaded the bases before Verdi's time at bat. He strolled to the plate, stepped into the batter's box--and saw Stengel waving him back to the dugout. Stengel put up a pinch-hitter, Bill Renna, whose major league resume at the time was all of 16 at-bats, and he made the third out. Verdi never appeared in another major league game, done after a half-inning and a few seconds in the batter's box. He went back to the minors for another decade, with his three final seasons as a player-manager, launching his 22-year managing career at Syracuse in 1961. Along the way, he experienced his longest continuous tenure on a minor league team, playing for the International League's Rochester Red Wings, a Cardinals farm team, from 1957-1959. That's where the big drama of his life occurred. It happened on July 25, 1959, during one of Verdi's better seasons, when he batted .295 as the Red Wings' regular third baseman (his career average was .270). A few weeks earlier, he had been beaned so severely that he was still suffering dizzy spells and was not on the active roster. But the Red Wings had a big weekend in Havana coming up, and nobody wanted to miss the trip to that alluring hot-spot. So he was enlisted as a bullpen catcher for the trip. That's where he was stationed on Saturday night when a capacity crowd gathered to watch Fidel Castro give a pre-game pitching demonstration. It was a wild crowd full of soldiers making a ton of noise and celebrating their leader's presence--or so the Rochester players thought. The game was wild, too, with the Red Wings leading most of the way until things turned sour for them in the late innings. When manager Cot Deal was thrown out of the game, Verdi was asked to coach third base. In the bottom of the ninth, with two outs, a two-run home run pulled the Havana Sugar Kings into a 4-4 tie, and the game went into extra innings. They were still playing at midnight when all hell broke loose. What the Rochester players didn't know was that midnight ushered in the first anniversary of Castro's revolution, and the celebration consisted of everyone--soldiers and citizens alike--shooting off their guns. Verdi and some other players took shelter under the Jeep used to drive pitchers in from the bullpen for five minutes or so, until the gunfire subsided and the game resumed. Stationed in the third base coach's box, Verdi figured the worst was over, that the bad news was a ground out that ended a Red Wings threat. Before he could get off the field, however, the gunfire resumed, and the next thing he knew he was on the ground. "I felt this burning pain on the side of my head and thought I'd been beaned again," he told a New York Daily News reporter in 1999. "Then they found the .45-caliber bullet lying next to me." Havana shortstop Leo Cardenas had been struck in the shoulder by another bullet, but Verdi was struck in the head. He should have been killed--but because of that beaning, he was wearing a protective liner inside his cap. The bullet had bounced off the liner instead of penetrating his skull. Verdi recovered and become a cause celebre as baseball officials put pressure on the Sugar Kings to abandon Havana. They stuck it out the rest of the season and half of 1960 until Castro started confiscating U.S. properties, and finally moved the franchise to Jersey City. By that time, Verdi had moved along to the Charleston (WV) Senators of the American Association, a Washington farm team. He wasn't even halfway through a life that could easily have been cut short when he was just 33 years old. Instead, he lived to 84, a good long life that ended in Florida amidst thousands of Cuban refugees who also felt lucky to have gotten out alive. There are some gaps in his managing career. I find in the Sporting News that he and the Yankees couldn't agree on salary for 1971. He was in the middle of a two-year contract, so he basically was a holdout. In 1973, he was out of baseball, but I don't know why. He also managed in Puerto Rico in the winter. BTW, the real Graham played two innings for the Giants. The fictional one only played one inning.